There is more to athletics betting than the Olympic Games every four years. For while athletics betting takes off during the world’s biggest multi-sport event because the track and field activities receive the most attention, it chugs along in non-Olympic years thanks to continental championships, marathons and the Diamond League conducted by the International Association of Athletics Federations. 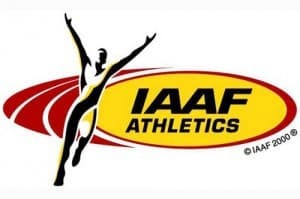 Originally, IAAF World Championships in Athletics, to give them their official title, were held every four years but now they take place every two years, with the next event scheduled for Moscow’s Luzhniki Stadium in August 2013. The world’s most famous city marathons are those run in Berlin, Boston, Chicago, London and New York City. They comprise the World Marathon Majors, a championship-style competition for distance runners that began in 2006. In chronological order, the Boston Marathon takes place in mid-April, the London Marathon takes place in late April, the Berlin Marathon takes place in late September, the Chicago Marathon takes place in early October and the New York City Marathon takes place in early November. Usually, the Big Apple race attracts the highest number of athletes. The IAAF Diamond League, which superseded the IAAF Golden League, is an annual series of athletics meetings that have occurred since 2010. Its aim is to enhance the worldwide appeal of athletics by going outside Europe, which was the focal point of its predecessor that run for 12 years. The 2012 IAAF Diamond League calendar was finalised with 14 meetings, starting in Doha and visiting Shanghai, Rome, Eugene, Oslo, New York, Paris, London, Monaco, Stockholm, Lausanne, Birmingham, Zurich and Brussels after that. Athletics betting used to be the specialist province of particular online bookmakers, the one who take pride in offering odds on every sport under the sun. But now, thanks to the success of the IAAF Diamond League in growing the sport’s profile internationally, more and more online bookmakers are servicing punters who love athletics. In the top 5 table below we have ranked and reviewed the best online bookies offering odds on Athletics. Feel free to read our reviews before signing up and depositing funds. The most common form of athletic betting enables punters to bet on the winner of a specific race. For example, Jamaica’s Usain Bolt was about 8-11 to win the London 2012 Olympic Games men’s 100 metres gold medal before the heats began, remarkable odds when one considers the brilliant manner in which he ended up winning the blue-riband event again. From time to time, some online bookmakers offer odds about a world record being set in a particular discipline. One firm got its fingers burnt during the London 2012 Olympic Games when plenty of punters snapped up 7-1 about Kenya’s David Rudisha breaking the men’s 800m world record in the final. In what was the undisputed star performance of the London 2012 Olympic Games, Rudisha led from start to finish and sliced one-tenth of a second off his own personal best. Ahead of major championships, athletics betting branches out to include markets on the medal hauls of nominated athletes and/or countries. For example, there were plenty of odds about how Bolt would fare across his three London 2012 Olympic Games events – the men’s 100m, the men’s 200m and the men’s 4x100m relay. As it happens, he won all three. And you will find some bookmakers who offer odds about the Diamond Race titles, which the IAAF awards to the athletes who have accrued the most points in their disciplines during the IAAF Diamond League season. The Diamond Race rewards consistency and commitment to the international tour. Betting on athletics is less straightforward than betting on, say, football but it is possible to make consistent profits if you get to know the sport. Here are three of several athletics betting strategies worth employing. Not all athletics events were created equal. It should go without saying that the Olympic Games and the IAAF World Championships in Athletics are prestigious and command the total attention of athletes. But at the risk of annoying some event organisers, there is a definite pecking order within the IAAF Diamond League ranks. In terms of prestige, it is hard to go past the meetings in Oslo and Zurich. The Bislett Games in Oslo, which features the Dream Mile, is a favourite of middle- and long-distance runners, while the Weltklasse in Zurich lives up to its World Class name. Unless you follow athletics very closely, only bet on the major events when you know that everyone is trying to win and not simply preparing for another goal down the track. Browse the world rankings and, particularly in some of the field events, you will find athletes whose best efforts on home soil differ greatly from the best efforts in foreign lands. The differences are hard to fathom but they exist and, time and time again, these athletes flop in major competitions, often at ridiculously short prices. Mo Farah lit up the London 2012 Olympic Games by winning the men’s 5,000m and 10,000m gold medals even though his 5,000m personal best is more than 15 seconds slower than Kenenisa Bekele’s world record and his 10,000m PB is nearly half a minute slower than Bekele’s effort. What matters most in distance medal races that are often slowly run is the finishing kick of the athletes and that is precisely why Farah, Great Britain and Northern Ireland’s hero of the track, had the Olympic Stadium crowd crying tears of joy. Betting on athletics is getting more and more popular, not least because of the IAAF Diamond League’s growing success and the international profile of athletes such as Bolt. It is a sport in which big-time form tends to hold up and the online bookmakers make more ricks than on mainstream sports because they do not follow it anywhere near closely enough.